After arthroscopic knee surgery, you should follow the instructions given to you at the time of discharge from the surgery center or hospital. Generally, patients are allowed to weightbear as tolerated on the involved leg with or without crutches, unless otherwise instructed by the surgeon. Keep your leg elevated when you get home on 1-2 pillows, limit your activities and rest! 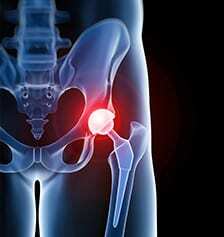 Ice packs may be applied to your knee the first few days for 20 minutes at the time as needed for pain and swelling. At the time of your first post-operative visit with your surgeon, a smaller bandage will be a pplied which will make it easier to ice your knee (20 min/ 3 times a day) during the first 5-7 days. Keep your incisions clean, dry and covered at all times until the stitches are removed after 10-12 days. Cover your incision while showering with Tegaderm bandages and wrap your knee in Saran wrap to keep it dry. Don’t overdo your activities the first week to decrease swelling. You may be given a prescription for physical therapy as ordered by your physician. Call our office with any redness around the incision, any fevers, drainage from the incision or any further questions or concerns. After your shoulder surgery follow the instructions given to you at the time of discharge from the surgery center or hospital. 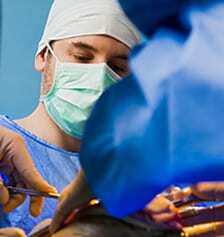 Keep your arm in the sling unless otherwise instructed by your surgeon after surgery. The bulky dressing will be exchanged on your first post-operative visit to smaller Tegaderm bandages. Your physician will then give you more instruction about activity level and Physical Therapy. Keep your incision clean, dry and covered at all times until the stitches are removed after 10-12 days. Keep the incision covered with Tegaderm bandages and Saran wrap while showering. Call our office with any redness around the incision, drainage, fevers or any other questions or concerns.